Few know that Native Americans are more likely than any other population group to serve in the U.S. armed forces. A new National Native American Veterans Memorial spotlights the contributions and sacrifices of Native Americans who have served. 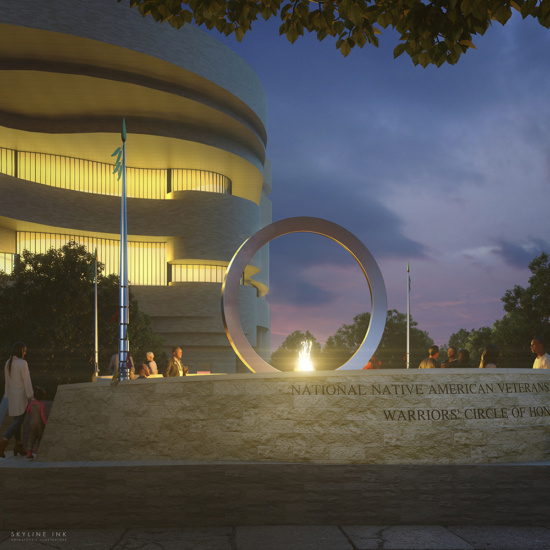 The Smithsonian’s National Museum of the American Indian in Washington, D.C. has recently selected the design by artist Harvey Pratt titled “Warriors’ Circle of Honor.” The memorial will break ground in 2019 and is expected to open in the following year. According to a statement from the Smithsonian Museum, Pratt designed “an elevated stainless steel circle” built on a stone fountain in the shape of a drum. The water symbolizes the blessing of holy ceremonies, and a fire will light up at the base of the circle during Veterans Day and other holidays. Pratt is a self-taught Oklahoma-based artist and a Vietnam War veteran. As a member of the Cheyenne and Arapaho tribes, his work deals with the history and traditions of those people and other Native American communities. 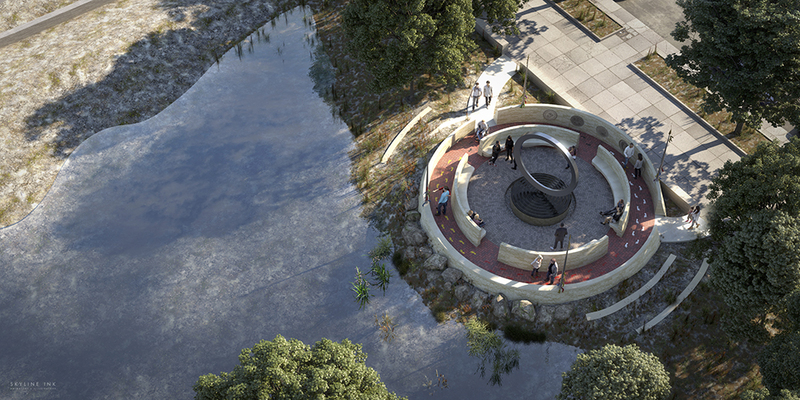 Pratt partnered with Hans and Torrey Butzer of Butzer Architects and Urbanism in designing this memorial. Native Americans Smithsonian Veterans Washington, D.C.